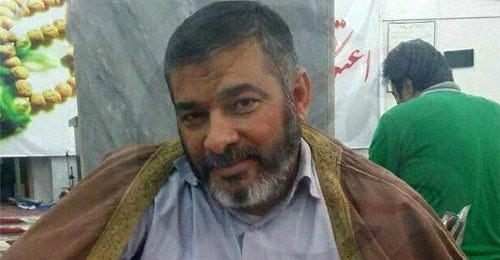 Iranian Colonel Karim Goabsh , the top advisor to the Iranian Revolutionary Guard was reportedly killed in Zabadani , Syria , where a battle has been raging for several days between the Iranian backed Hezbollah militia and the Syrian army on one side and the Syrian rebels on the other including the al Qaeda linked al Nusra Front . In a related development Hezbollah and the Syrian army, who have mounted a major offensive in Zabadani a key city near Lebanon, issued an ultimatum to Syrian rebel factions to either surrender or die,Lebanese media reported on Sunday. The rebels, who have been trapped in the city since their escape routes were cut off on July 4, were reportedly left with only two choices: either laying down their arms and surrendering or be killed, the report said. Security source told Voice of Lebanon Radio (93.3) that Hezbollah field commander, hajj Haidar Badran, was killed in the Zabadani battles and is expected to be buried today. Badran hails from the town of Lower Houmain in south Lebanon. Iranian dead can be lumped together with all the foreign fighters. I get the impression that HA and Iranian top staff are in the thick of the fighting, similar to IDF. that would explain the number of senior guys killed in combat.